Do you need to take your landscape’s appearance to the next level? A well-designed hardscape could represent exactly what your yard needs. Hardscape is a landscaping subcategory comprised of elements from the land that is inanimate. Hardscaping involves building in addition to installing structures alongside the landscape’s natural aspects. Landscapers perform this procedure to compliment the land’s beauty while providing additional functionality. This might include a new walkway or even fully functional irrigation systems. Hardscaping is hard work, even under optimal climate conditions. Beginning a hardscaping project is often a challenging endeavor. For this reason, many homeowners elect for favorable weather periods (such as spring or fall) to begin their projects. However, this does not stop a professional landscape architect. Nevertheless, a project’s viability from start to finish depends on the idea’s nature. For example, a project boasting a horizontal orientation (a courtyard garden or patio) is a more challenging design and installation accomplishment during the winter seasons. Surface preparation is key in these projects. Unfortunately, substandard conditions hinder this preparation. Landscaping and hardscaping services remain popular among both residential and some commercial owners. No matter how large or small your property is, a landscaping service can provide benefits for everyone. By designing your residential landscaping, it is important that you recognize your lawn and outdoor spaces as an extension of your home. These areas additionally reflect important parts of yourself. When you work with landscaping professionals that understand your preferences and needs above all else, you gain an invaluable asset. The experts from Blaum Landscaping focus on what you want while working harmoniously to achieve your goals. We proudly offer numerous custom-cultivated services to our clients throughout South Florida. With Landscaping by Steve Blaum, we offer our customers gorgeous hardscaped designs customized specifically to our clients’ preferences as well as the limitations of their properties. Beautiful hardscaping is what we do best. Our team is courteous, friendly, and very professional, arriving at your home with tools in hand and ready to work. Our landscape contractors at Landscaping by Steve Blaum demonstrate proficiency and expertise at the hardscaping arts in South Florida. Throughout the years, we masterfully transformed dull, unkempt outdoor areas into spectacular vistas. 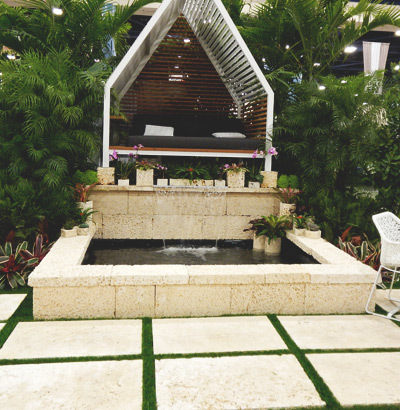 No Miami landscaping service company devotes as much time or displays as much dedication to creating a landscape that meets your needs as we do. Our job is not complete until our customer is absolutely satisfied. Taking on a hardscape project on your own is extremely difficult. In some cases, it is downright impossible. We take special care when building and installing structures to avoid inflicting damage on your property. We also provide our customers with tree services when necessary to cultivate the vision. Our services include tree removal, lawn care, lawn maintenance, and tree trimming. The only way to ensure that your hardscape plans go as envisions is to leave the project to a professional. Our landscape service team at Landscaping by Steve Blaum can bring your visions to life. We specialize in designing and developing outdoor living spaces that demonstrate functionality, in addition to the aesthetic. We can build you a custom exterior from the ground up, or bring your own artistic vision out of concept into reality. Regardless if you want to create a series of outdoor walkways in your front yard, or desire a gazebo in the backyard, hardscaping services can provide the solution you need. However, hardscaping services provide more for your house than improve aesthetics. They add character, stability, safety, as well as selling value! A hardscaped landscape can completely transform your property, adding additional value when the time to sell arrives. In need of a landscaping company in Miami for the necessary, dedicated time for one-on-one contact with your hardscaping project? 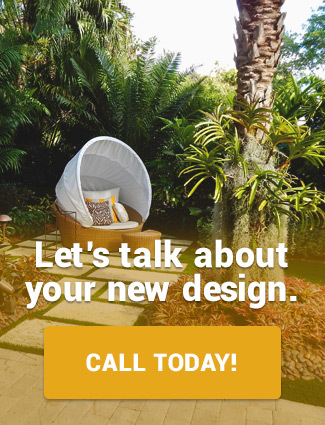 Landscaping by Steve Blaum is the right family owned and operated South Florida company for you. Hardscaping represents the implementation of stone and structure in landscape design. Numerous options exist to help your property look its absolute best. Our team can help your properly look truly unique. Our landscaping company in Miami offers landscaping and hardscaping design services at a reasonable price. You too can possess a beautiful hardscaped landscape in your front or backyard. Contact Landscaping by Steve Blaum now at (305) 662-7045 or click here for more information on our hardscaping services. We additionally offer our potential customers free estimates. This helps our clients’ start their landscaping projects right away at an affordable price. We utilize the highest quality materials in every project. When we employ the absolute best fixtures, demonstrating reliability and a solid performance against potentially harsh Florida elements. However, Blaum Landscaping is not simply a landscaping company in Miami. We represent THE resource for hardscaping services in the South Florida area. We want to help you transform your yard into an elegant space where you can feel very happy and proud. 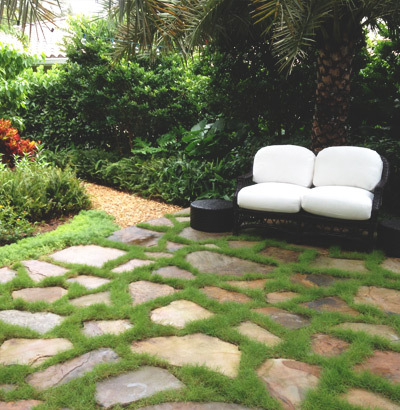 Our team offers hardscaping services for residential and commercial properties throughout South Florida. No matter your project’s size, our company is equipped to handle the situation. These services include repair, installation, design, and replacement. Our team is equipped with the necessary knowledge and experience to properly hardscape your land. We always arrive in full uniform, with tools in hand and ready to work. Contact us today and start off on the hardscaping project of your dreams. When you enlist Landscaping by Steve Blaum, rest assured your project as well as your lawn is in good hands!